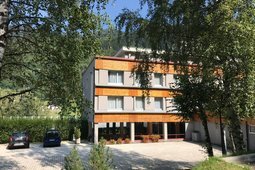 The Gaia Residence Hotel is in Mezzana-Marilleva, in a green area not far from the village centre, between the Stelvio National Parc and the Adamello Brenta Natural Parc. 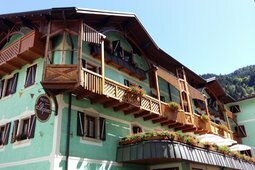 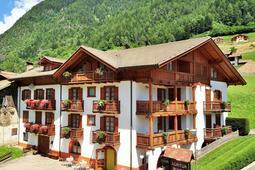 The Hotel Val Di Sole is located in mezzana, a wonderful village in the centre of the Sulztal (Sole Valley). 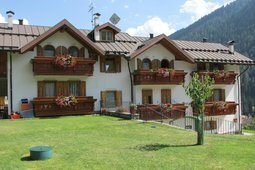 This is the ideal position for skiers and hikers who can easily reach the Brendta Dolomites, the National Park Stilfser Joch and the National park Adamello-Brenta. 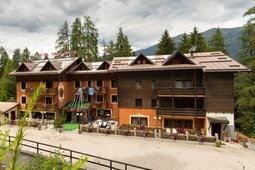 The apartments are located in Marilleva 900 on the attic floor of a building in front of the bottom of the cableway which, in winter, takes you in a few minutes from Marileva 900 to the ski circuit of Marilleva-Folgarida-Madonna di Campiglio-Pinzolo. 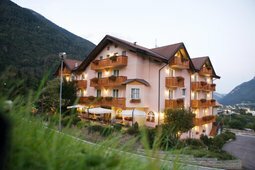 A stay at the Hotel Michela is a memorable experience in a tasteful, yet homely setting, ideal also for children. 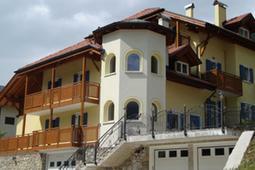 A range of superb services is offered, from the cuisine to treatments for the body. 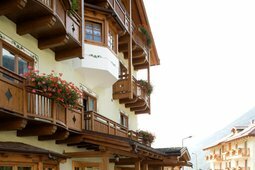 This cosy accommodation guarantees a relaxing break from your everyday routine. 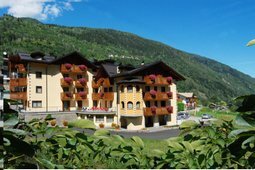 The Residence Kristall apartments are located in the peaceful Marilleva 900, only 100 meters from the 12 seat cable car that takes you to the ski slopes of Marilleva 1400, Folgarida, Madonna di Campiglio and 800 meters from the village of Mezzana.